The Event is Free but please register online! This is a great opportunity to stop by Elevation Cycles to get your questions answered. A panel of Ride The Rockies (RTR) staff, RTR Alumni and Elevation Cycles Staff will be on hand to answer all your questions. 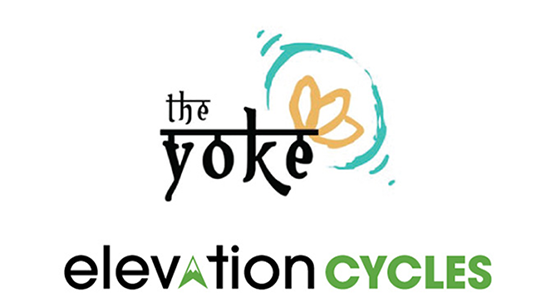 Following the discussion session, you will be able to shop at Elevation Cycles for all your bike tour needs. Come join us for an evening of yoga with LauraLynn, the executive director of The Yoke. The class will be held in the Elevation Cycles' Highlands Ranch store and will focus on the parts of the body that tend to get really tight on cyclist; shoulder, hips and the lower back. This class is open to everyone. No previous yoga experience is required. The class is limited to 15 people.